Nicholas Hirshon examines the team's failed attempt at rebranding. 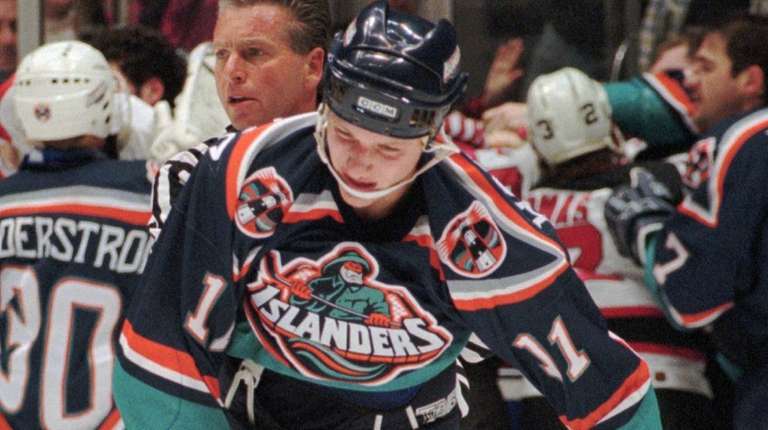 The Islanders were only two years removed from perhaps the most bizarre era in the organization’s checkered history when Nicholas Hirshon of Forest Hills became a fan in 1999. Occasionally, he would see somebody wearing a colorful jersey with wavy blue, teal and orange lines and a different logo. Occasionally, he would hear somebody talking about it, albeit quietly. Hirshon retained his curiosity for the ill-fated Fisherman era of 1995-97 and when he pursued his PhD in mass communications at Ohio University and needed to write a “momentous manuscript,” he wanted to connect to the Islanders and have some fun with the project. His examination of the history of the Islanders’ rebranding and the mistakes made, both uniform related and within the wacky team management of the time, has become “We Want Fish Sticks,” an engaging 312-page, trip-back-in-time book due out Dec. 1 from the University of Nebraska Press. “It’s still fun for me,” said Hirshon, who has book signings scheduled on Dec. 8 at the Queens Library in Glen Oaks, on Dec. 29 at Offside Tavern in Manhattan, on Jan. 10 before the Islanders-Rangers’ game at Madison Square Garden at Gerry Cosby and on Jan. 26 at East Hampton Library. 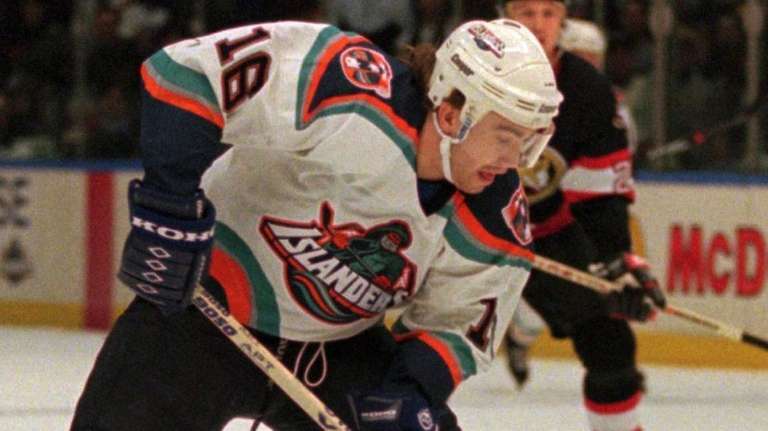 Hirshon interviewed numerous Islanders players and personnel from that era and many involved in the decision to rebrand the team and abandon the organization’s classic jersey, to which it eventually reverted. He also spent hours poring over microfilm of Newsday’s coverage of the team. He details the issues Rob Di Fiore had as the man inside the overly-bearded Nyisles mascot, one of the more disliked mascots in sports history. He had to approach some interviews gingerly and assure the subjects he wasn’t looking to make fun of them. For instance with Ed O’Hara, one of the most distinguished branding experts in sports and who, as head of SME Branding and a key figure in the Fisherman logo. 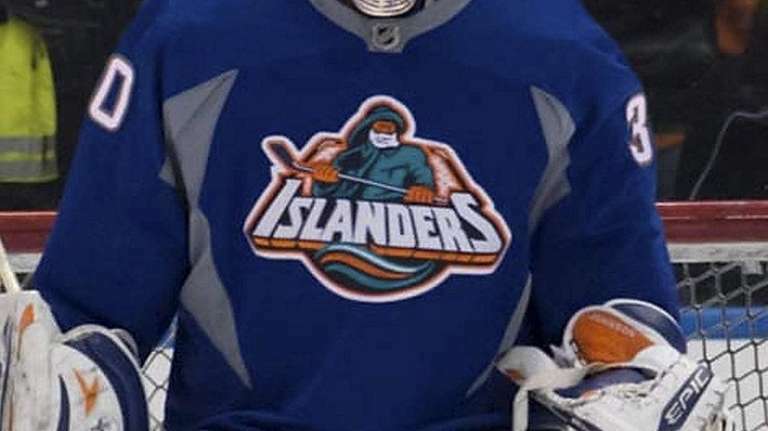 Some, such as former Islanders general managers Don Maloney and his replacement, Mike Milbury, former player Kirk Muller, who famously did not want to play for the team, and jailed fraudster owner John Spano who once tried to buy the team, declined to be interviewed. And, yes, he owns one. Goalie Thomas Greiss had a quick answer before making 36 saves in a 7-5 win over the Rangers on Thursday night at Barclays when asked his best moment in the New York rivalry. But that does not indicate a lack of caring on Greiss’ part. Instead, he finds he can play better in the present if he doesn’t hold onto the past, a trait he developed in childhood. Left wing Matt Martin (upper body), who resumed practicing with the team on Wednesday, will miss his seventh straight game on Sunday and remains on injured reserve retroactive to Nov. 1, meaning he is eligible to be activated once the medical staff gives the OK.
Also meaning Martin just must be patient.